How about a city trip to stunning Hamburg? I just found a great deal for you guys. For 2 days you’ll be staying at the excellent 4.5* Hotel Arcotel Rubin for just 224 DKK. This hotel is centrally situated in Hamburg and a perfect location for a citytrip. The Arcotel Rubin Hotel is located in the lively St.Georg district and only about 500 m from the Hamburg central station. In general, St.Georg is a great choice for travelers interested in museums and shopping. Various shops and cafés on the well-known Lange Reihe-street are very close to the Arcotel Rubin. Furthermore, the idyllic Außenalster Lake is a 10-minute walk away. The hotel offers free Wi-Fi, a free spa with 2 different saunas and spacious rooms with flat-screen TVs. Additionally, there is also a steam room, a gym and a rooftop terrace. On Booking.com the hotel has received very good reviews and reaches a great rating of 8.2/10 from 2.517 reviews total. When in Hamburg, you should make sure to check out some of the super cool local bars, cafés and restaurants. 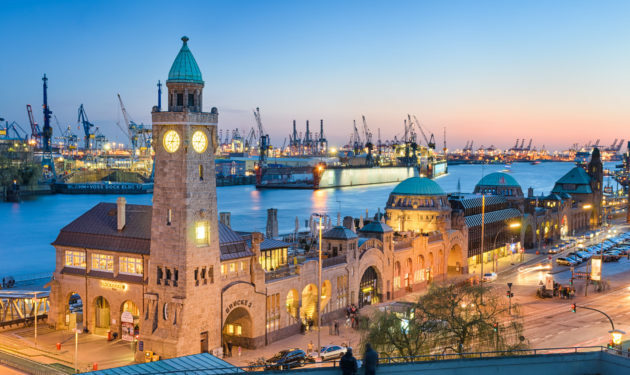 Of course, you can’t go to Hamburg without visiting the entertainment street Reeperbahn & the St.Pauli district – these are the two centres of Hamburg’s nightlife! There are many dates available from May – November, like we’ve listed below. Go ahead and click through the links until you find something that fits with your schedule. ?